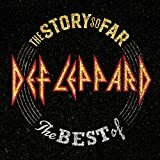 Shop for Def Leppard mp3s. Get Def Leppard essential facts below. View Videos or join the Def Leppard discussion. 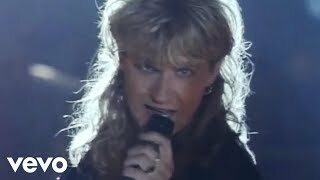 Add Def Leppard to your PopFlock.com topic list for future reference or share this resource on social media. Def Leppard's fourth album Hysteria, released in 1987, topped the UK and U.S. album charts. As of 2009, it has reached beyond the success of Pyromania, having been certified 12 platinum for sales of over 12 million in the U.S. and has gone on to sell over 25 million copies worldwide. The album spawned seven hit singles, including the U.S. Billboard Hot 100 number one "Love Bites", alongside "Pour Some Sugar on Me", "Hysteria", "Armageddon It", "Animal", "Rocket", and "Women". Their next studio album, Adrenalize (the first following the death of guitarist Steve Clark), reached number one in UK and U.S. charts in 1992, and contained several hits, including "Let's Get Rocked" and "Have You Ever Needed Someone So Bad". Their 1993 album, Retro Active, contained the acoustic hit song "Two Steps Behind". Their greatest-hits album Vault, released in 1995, featured the UK hit "When Love & Hate Collide". Fueled by "Photograph" and subsequent singles "Rock of Ages" and "Foolin'", Pyromania went on to sell six million copies in 1983 (more than 100,000 copies every week in that year) and only was held from the top of the US album charts by Michael Jackson's Thriller. With the album's massive success, Pyromania was the catalyst for the 1980s pop-metal movement. 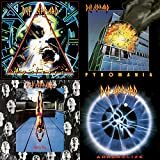 In 2004, Pyromania was certified Diamond having sold over 10 million copies in the US. Def Leppard's US tour in support of Pyromania began opening for Billy Squier in March and ended with a headlining performance before an audience of 55,000 at Jack Murphy Stadium in San Diego, California in September. As a testament to the band's popularity at the time, a US Gallup poll in 1984 saw Def Leppard voted as favourite rock band over peers such as The Rolling Stones, AC/DC, and Journey. However, in their native England, Duran Duran secured the number one spot. On 31 December 1984, drummer Rick Allen lost his left arm in a car crash on the A57 in the hills outside the band's home city of Sheffield. Allen was driving with his Dutch girlfriend, Miriam Barendsen, when his Corvette swerved off the road on a sharp bend and went through a drystone wall. 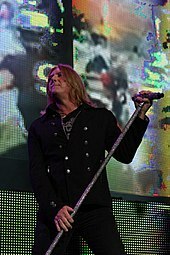 Despite the severity of the accident, Allen was committed to continuing his role as Def Leppard's drummer, and realised that he could use his legs to do some of the drumming work previously done with his arms. 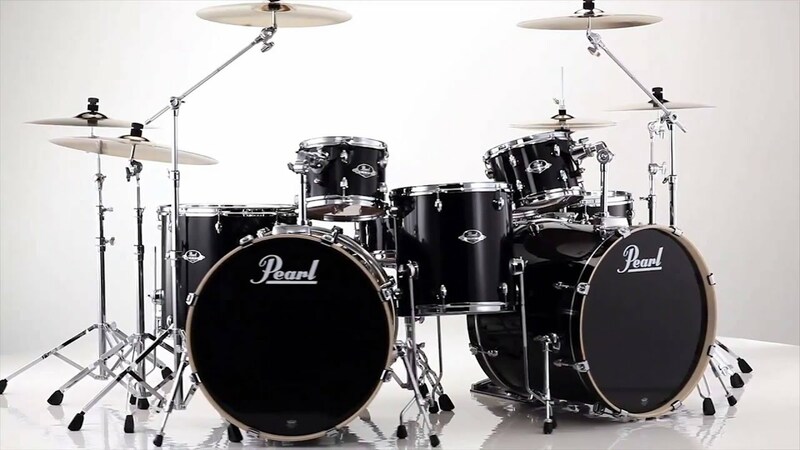 He then worked with Simmons to design a custom electronic drum kit. The other members of the band supported Allen's recovery and never sought a replacement. Allen was placed in a separate studio to practice his new drums. After a few months, Allen gathered the band together and performed the intro to the Led Zeppelin version of "When the Levee Breaks" to showcase his progress to the band. Joe Elliott reports this as being a "very emotional moment." During this period, Mutt Lange returned as producer. Def Leppard brought in Jeff Rich in August 1986 to play alongside Allen during Def Leppard's warm-up mini tour of Ireland. 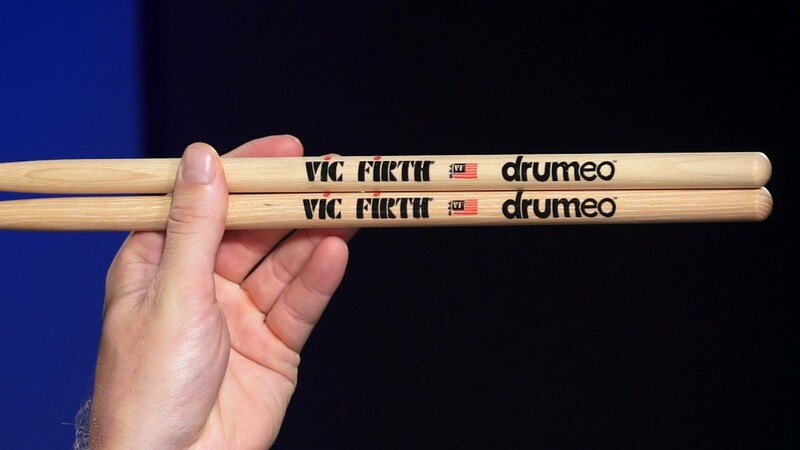 When the band couldn't fit two drum kits on stage at a gig, he and the band realized Allen could drum alone. 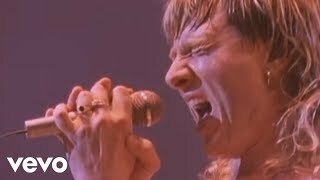 Allen's comeback was sealed at the 1986 Monsters of Rock festival in England, with an emotionally charged ovation after his introduction by Joe Elliott. 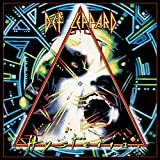 After over three years of recording, Def Leppard's fourth album, Hysteria, was released on 3 August 1987. One of the first singles from the album, "Animal", became the band's first Top 10 hit in the UK, reaching No. 6 on the UK Singles Chart. 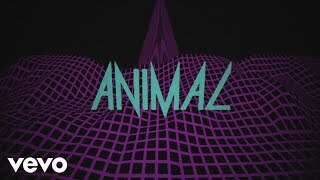 "Animal" also started their run of ten consecutive U.S. Billboard Hot 100 Top 40 singles.Hysteria immediately topped the UK Album Charts in its first week of release, and has since spent 105 weeks on the chart. Initial US album sales were relatively slow (compared to Pyromania) until the release of the fourth single, "Pour Some Sugar on Me". The song hit Number 2, and Hysteria finally reached the top of the U.S. Billboard 200 in July 1988. Often regarded as the band's signature song, "Pour Some Sugar on Me" was ranked No. 2 on VH1's "100 Greatest Songs of the 80s" in 2006. In a period between late 1991 and early 1992, auditions for another guitarist commenced. Among the guitarists who auditioned included Adrian Smith, John Sykes, and Gary Hoey. Ultimately, the band chose Vivian Campbell in February 1992, formerly of Dio and Whitesnake. Another world tour followed but the band's fortunes began to be affected by the rise of alternative rock, including grunge. Amidst the increasing popularity of alternative rock, the band decided to balance their original image as rebellious rock stars with a slightly friendlier energy, combining heavy metal with melodies and hooks more reminiscent of pop music. A collection of b-sides and unreleased tracks recorded between 1984 and 1993, called Retro Active, was released in October 1993, preceded by the success of "Two Steps Behind" (from the Arnold Schwarzenegger film Last Action Hero). Another single, "Miss You in a Heartbeat", hit the Top 5 in Canada, becoming one of their biggest hits there. Retro Active has sold 3 million copies worldwide to date. 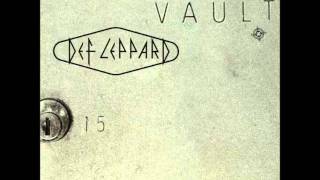 Two years later, Def Leppard issued their first greatest hits collection, Vault: Def Leppard Greatest Hits (1980-1995), which reached number 3 in the UK, and sold over 5 million copies in the US. Alternate track listings of the album were issued for North America, the UK, and Japan. The compilation included a new track, the power ballad "When Love & Hate Collide", which became their biggest ever hit in the UK, hitting No. 2 on the UK Singles Chart. An expanded and updated best-of collection, Best Of, was released internationally in October 2004. The North America-only version, Rock of Ages - The Definitive Collection, was released the following May. Def Leppard participated at the Live 8 show in Philadelphia and toured in the summer with Bryan Adams. In 2005, the band left their longtime management team, Q-Prime, and signed with HK Management. The band, along with Queen, Kiss, and Judas Priest, were the inaugural inductees of VH1 Rock Honors on 31 May 2006. During the show, The All-American Rejects paid homage to the band with a cover of "Photograph". Soon afterwards, they embarked on a US tour with Journey. That October, Hysteria was re-released in a two-disc deluxe edition format, which combined the original remastered album with b-sides, remixes, and bonus tracks from single releases. Def Leppard began their "Downstage Thrust Tour", on 27 June, which took them across the US and into Canada. Support bands were Foreigner and Styx. After taking a year off from touring in 2010, the band announced on 22 February 2011 that they would be releasing their first live album in the summer. 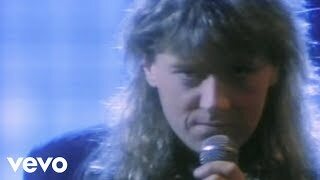 Mirror Ball - Live & More, a two-disc live album, with three new studio tracks, was released in parts of Europe on 3 June, the rest of Europe on 6 June, and on 7 June in the US; it was announced at the same time that Def Leppard would perform at the Download Festival on 10 June 2011. Of the three new studio tracks, two were released as singles, the first single being "Undefeated" released in April 2011, followed by "It's All About Believin'" released in May 2012. Def Leppard embarked on a two-month U.S. tour in the summer of 2011, with Heart., as well as another seven shows in Australia in October with The Choirboys and Heart, two shows in Japan in November, and six shows in the United Kingdom in December with Steel Panther and Mtley Cre. The following year, they then toured with Poison and Lita Ford in the US during the summer of 2012 from 20 June through 15 September, dubbed the "Rock Of Ages 2012 Tour". In June 2013, Vivian Campbell announced that he had developed Hodgkin's lymphoma, a malignant form of cancer that affects the Reed-Sternberg cells, located in the lymph nodes. He continued performing with Def Leppard, and no shows were cancelled or rescheduled. The sole idea of cancelling any shows and not doing anything disgusted Campbell, believing performing would be the best way to remain optimistic. In November 2013, he announced he was in remission. However, the cancer has since reemerged, and he is now receiving chemotherapy once again. Should the cancer once again enter remission, he will undergo a stem-cell transplant. On 11 February 2014, the band released a remastered deluxe edition of their 1996 album Slang after much delay. The album, still coveted by many loyal fans of the band, now features 30 tracks including demos, B-sides, and unreleased material. From 23 June 2014 to 31 August 2014, Def Leppard and Kiss toured 42 cities, with a dollar per ticket donated to such military charities as Wounded Warrior Project. Def Leppard contributed one song Helen Wheels to the Paul McCartney tribute album The Art of McCartney released on 18 November 2014. Joe Elliott also contributed another track Hi, Hi, Hi. At certain recent points in time, the band had projects, such as a cartoon and a documentary in development. However, these projects seem to be shelved indefinitely. The band had originally planned to do another residency in Las Vegas, this time in honour of Pyromania (called Viva! Pyromania), but due to the "Heroes 2014" tour with Kiss, and the recording of their new studio album, the project had been pushed back indefinitely. The new album was originally planned to be an EP, but the set-list increased to 15 songs by June 2014. The album was released on October 30, 2015 with a tour following. In December 2014, the band announced a 13-date Canadian tour in April and May 2015. This was followed in February 2015 with the announcement of a 2015 US summer tour with Styx and Tesla from June to October 2015. The tour was then extended to include dates in Japan and Australia throughout November, and a tour of the UK and Ireland with Whitesnake in December. Def Leppard then returned to North America with Styx and Tesla in early 2016. During the break following their 2015 tour, Def Leppard led the Hysteria on the High Seas concert cruise aboard the MSC Divina in January 2016. 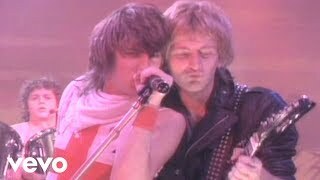 Joe Elliott became ill with laryngitis on the night of their cruise performance. This led to the band performing without Elliott for the first time in their history. Vivian Campbell and Phil Collen sang lead vocals on two songs of the shortened seven song set in addition to two songs with vocals by Andrew Freeman and two more with Eric Martin and Kip Winger. in addition to this, Campbell and Freeman's Last in Line bandmate Jimmy Bain, former bassist of Dio died of lung cancer aboard the ship the same night, causing Last in Line to cancel their show the following day. Back on land, Elliott struggled through the first concert of the 2016 tour, resulting in Tesla's Jeff Keith joining Elliott on lead. The following day's concert was also postponed "due to illness", with Rick Allen reporting on Twitter "The Doctor basically said that if Joe continues to sing without resting his throat for a month he might do permanent damage.."
By July 2016, the band were performing regularly again and intended to complete 48 dates. When the tour stopped at DTE Energy Music Theatre in Clarkston, Michigan on 15 July, the show was recorded for future release. On 10 February 2017, the band released And There Will be a Next Time... Live from Detroit, a double live album and concert video. In August 2017 the band celebrated the 30th anniversary of Hysteria by releasing a collectors edition box. The singles were also re-released on vinyl. In January 2018, Def Leppard announced it would embark on a 58 date North American tour with Journey. In addition, the group's discography was made available for streaming and digital download after a deal was quietly reached between the band and Universal Music Group. Def Leppard's music is a mixture of hard rock, AOR, pop and heavy metal elements, with its multi-layered, harmonic vocals and its melodic guitar riffs. However, even though they were often considered one of the top bands of the new wave of British heavy metal movement of the late 1970s, in the mid-1980s the band were associated with the growing glam metal scene, mainly due to their mainstream success and glossy production.Pyromania has been cited as the catalyst for the 1980s pop-metal movement. Def Leppard, however, expressed their dislike of the "glam metal" label, as they thought it did not accurately describe their look or musical style. By the release of the Hysteria album, the band had developed a distinctive sound featuring electronic drums and effects-laden guitar sounds overlaid with a multi-layered wall of husky, harmonised vocals. 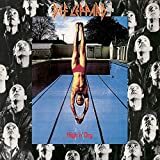 Def Leppard has been cited as an influence by a wide range of musical acts, from heavy metal and thrash metal bands such as Slayer,Pantera, and Metallica as part of the new wave of British heavy metal movement as well as by popular contemporary artists Matt Nathanson and Taylor Swift. 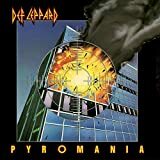 With Pyromania and Hysteria both certified Diamond by the RIAA, Def Leppard are one of only five rock bands with two original studio albums selling over 10 million copies each in the US, alongside the Beatles, Led Zeppelin, Pink Floyd and Van Halen. Both Pyromania and Hysteria feature in Rolling Stone list of the 500 Greatest Albums of All Time. Phil Collen played guitar, uncredited, on Sam Kinison's "Wild Thing" from 1988. The video featured members of bands such as Poison, Bon Jovi, Mtley Cre, Guns N' Roses, Ratt, and Aerosmith. Collen also produced and played on the 1991 album On The Edge from Australian band BB Steal. ^ Thomas Erlewine, Stephen. "Def Leppard Biography". AllMusic. Retrieved 2014. ^ "Def Leppard Biography". Rolling Stone. Simon & Schuster. Retrieved 2014. ^ Guitar World Staff. "Top 20 Hair Metal Albums of the Eighties". Guitar World. Archived from the original on 4 October 2012. Retrieved 2014. ^ Rhodes, Paul. "Glam Metal 101". About.com. Retrieved 2014. ^ McPadden, Mike (25 September 2015). "The Hair Metal 100: Ranking the '80s Greatest Glam Bands--The Final 20!". VH1. Viacom. Retrieved 2016. ^ a b Kara, Scott (30 October 2008). "One giant Leppard". The New Zealand Herald. Retrieved 2011. ^ Walker, Graham (10 September 2013). "VIDEO: Viva! Hysteria with Def Leppard's Joe Elliott". Sheffield Star. Retrieved 2013. ^ "Gold & Platinum - RIAA". RIAA. Retrieved 2016. ^ a b Cohen, Jane and Grossweiner, Bob. (9 January 2008). "Def Leppard Continues North American Tour" Archived 14 June 2008 at the Wayback Machine. Ticket News. Retrieved 1 March 2010. "They are one of only five rock bands that can claim two separate, original 10 million-plus selling albums (certified "Diamond") in the U.S. 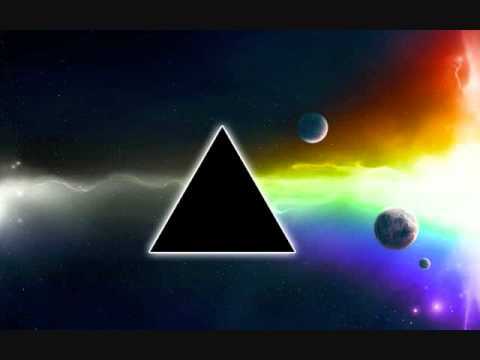 The others are The Beatles, Led Zeppelin, Pink Floyd and Van Halen". ^ "VH1: 100 Greatest Hard Rock Artists". Rock on the Net. Retrieved 2011. ^ "VH1 100 Greatest Artists of All Time". Vh1.com. Retrieved 2011. ^ According to the book Bang Your Head: The Rise And Fall of Heavy Metal by David Konow. 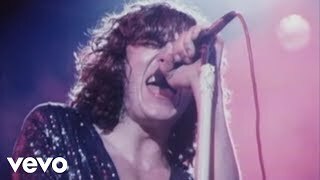 ^ a b "Watch Videos Online | Rock Of Ages - The Def Leppard Story". Veoh.com. 2 May 2008. Retrieved 2014. ^ Colin Larkin (1995) The Guinness encyclopedia of popular music, Volumes 1-6. p.1118. 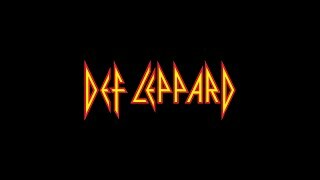 ^ Band Biography, DefLeppard.com. Archived 23 February 2006 at the Wayback Machine. ^ "VH1: 100 Greatest Songs of the 80s". Rock on the Net. Retrieved 2011. ^ Scott Stanton. The Tombstone Tourist: Musicians. Books.google.com. p. 303. Retrieved . 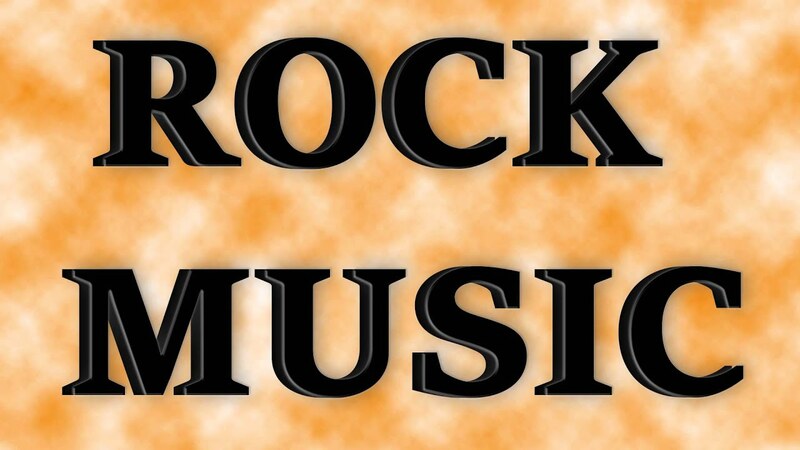 ^ The Rough Guide to Rock. Books.google.com. 28 October 2003. Retrieved 2011. ^ "Party time, all the time, with Def Leppard". Retrieved 2017. ^ "Def Leppard". Retrieved 2017. ^ "UK Top 40 Hit Database". everyHit.com. Archived from the original on 12 October 2008. Retrieved 2011. ^ "Q lists". Rocklist.net. Retrieved 2010. ^ Def Leppard.Com Archived 18 December 2007 at the Wayback Machine. ^ a b "PRESS RELEASE - CMT CROSSROADS: TAYLOR SWIFT and DEF LEPPARD on DVD 16 June". Defleppard.com. Archived from the original on 14 December 2010. Retrieved 2011. ^ "CROSSROADS is Wal-Mart's best-selling DVD this week". Defleppard.com. Archived from the original on 14 December 2010. Retrieved 2011. ^ "CMT Crossroads: Def Leppard and Taylor Swift sneak peek". Defleppard.com. Archived from the original on 14 December 2010. Retrieved 2011. ^ "CMT Crossroads: Def Leppard and Taylor Swift premieres Nov. 7". Defleppard.com. Archived from the original on 16 July 2011. Retrieved 2011. ^ "DEF LEPPARD: Live Album Title Revealed; DOWNLOAD Festival Appearance Announced". Blabbermouth.net. 22 February 2011. Archived from the original on 23 February 2011. Retrieved 2011. ^ "DEF LEPPARD To Make 'Major' Announcement Soon". Roadrunnerrecords.com. Archived from the original on 20 March 2011. Retrieved 2011. ^ "Def Leppard Australian Tour Dates 2011". Triple M. 7 July 2011. Archived from the original on 26 January 2013. Retrieved 2013. ^ "DEF LEPPARD: Japanese Dates Announced". Blabbermouth.net. 27 June 2011. Retrieved 2013. ^ "DEF LEPPARD, MTLEY CRE, STEEL PANTHER To Join Forces For U.K. Tour". Blabbermouth.net. 30 August 2011. Retrieved 2013. ^ "Def Leppard & Poison 2012 tour". 10 February 2012. Archived from the original on 13 February 2012. Retrieved 2012. ^ "U.S. Tour w/ Poison & Lita Ford - 1st Leg Dates Announced!". 9 March 2012. Archived from the original on 12 March 2012. Retrieved 2012. ^ "Def Leppard to Record Las Vegas 'Hysteria' Shows for Live Album". Ultimateclassicrock.com. 12 March 2013. Retrieved 2014. 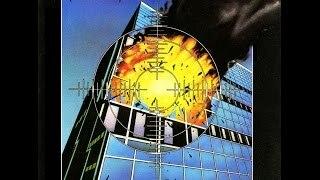 ^ "Def Leppard Release Re-Recorded "Hysteria"". .gibson.com. 21 March 2013. Retrieved 2014. ^ "Def Leppard Re-Recording Hit Songs to 'Wrestle Back Career' From Record Label". Ultimateclassicrock.com. 10 January 2013. Retrieved 2014. ^ Halperin, Shirley (8 January 2012). "Pour Some Sugar Again: Why Def Leppard is Rerecording Hits". The Hollywood Reporter. Retrieved 2014. ^ "Def Leppard guitarist Vivian Campbell reveals all about life with lymphoma in this rocking film!". YouTube. Retrieved 2014. ^ "A Message From Vivian". Def Leppard. Archived from the original on 27 March 2014. Retrieved 2014. 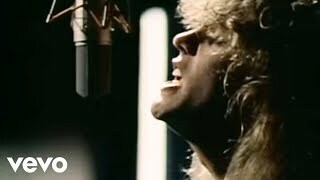 ^ "Def Leppard Revisits Overlooked Album: 'It Went Against the Grain'". Billboard. Retrieved 2014. ^ Elavsky, Cindy (22 March 2014). "Celebrity Extra". King Features. Retrieved 2014. 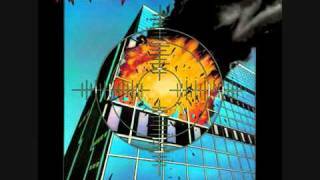 ^ "Def Leppard Plots 'Pyromania' Residency In Las Vegas; New Studio Album In View". Billboard. Retrieved 2014. ^ "Vivian Says Pyromania Residency Will Not Happen In 2014". deflepparduk. Retrieved 2014. ^ "Phil Collen Talks Delta Deep Side Project, Progress on New Def Leppard Album". Ultimate Classic Rock. 16 June 2014. Retrieved 2014. ^ "Def Leppard announce 2015 spring tour of Canada". AXS. 9 December 2014. Retrieved 2015. 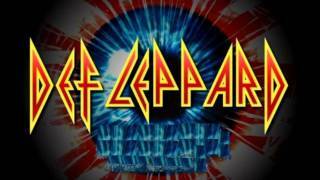 ^ "DEF LEPPARD Set To Tour The U.S. This Summer with STYX & TESLA". DefLeppard.com. Archived from the original on 12 February 2015. Retrieved 2015. ^ "Q&A with Def Leppard's Joe Elliott". Grand Forks Herald. 27 August 2015. Archived from the original on 28 August 2015. Retrieved 2015. ^ *Please enter your name. (2015-09-15). "Listen to Def Leppard's New Song, 'Let's Go'". 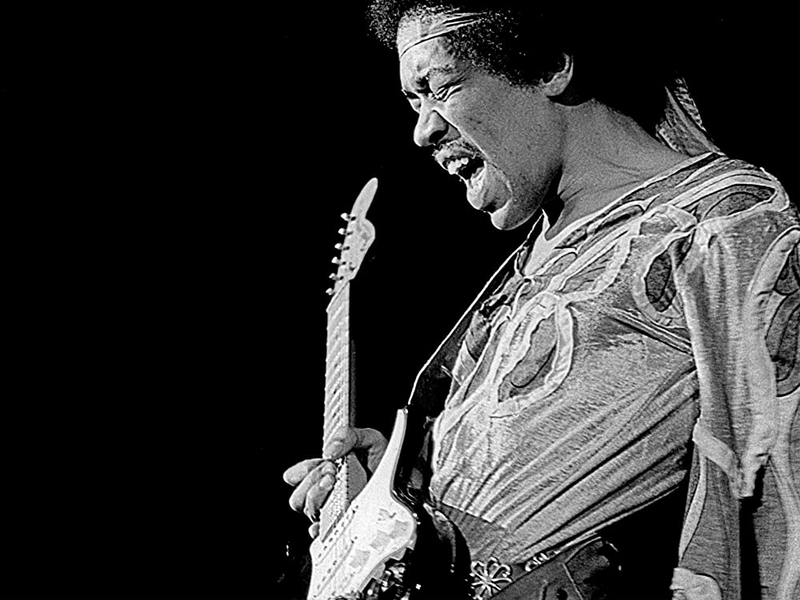 Ultimateclassicrock.com. Retrieved . ^ Caulfield, Keith. "Chris Stapleton Soars to No. 1 on Billboard 200 Albums Chart After CMAs"," Billboard.com, 8 November 2015. 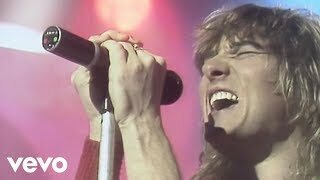 ^ a b "Joe Elliott Forced To Sit Out Def Leppard Cruise Show; Last In Line, Mr. Big, Winger Singers Step In". Blabbermouth.net. 2016-01-27. Retrieved . ^ "Former Rainbow/Dio Bassist Jimmy Bain Dead At 68". Blabbermouth.net. 2016-01-24. Retrieved . ^ Rick AllenVerified account (2016-01-31). "Rick Allen on Twitter: "The Doctor basically said that if Joe continues to sing without resting his throat for a month he might do permanent damage.. ?&#x;&#x;'&#x;"". Twitter. Retrieved . ^ Watson, Paige (July 1, 2016). "Def Leppard's Joe Elliott on Life, Death and New Songs". NUVO. ^ Rachel George (2018-01-18). "Def Leppard and Journey Co-headline on North America Tour". Billboard. Retrieved . ^ Annie Zaleski (2018-01-19). "Def Leppard's Catalog Finally Available To Stream and Download". Ultimate Classic Rock. Retrieved . ^ McPadden, Mike (25 September 2015). "The Hair Metal 100: Ranking the '80s Greatest Glam Bands--The Final 20!". VH1. Viacom. Retrieved 2017. ^ McDevitt, Cody (5 July 2007). "Def Leppard craves respect in interview". heavymetalmusic.biz. Archived from the original on 27 September 2007. Retrieved 2014. ^ a b "In Tribute: The Complete, Untold Story of Slayer's Jeff Hanneman". Guitar World. 2013-05-02. Retrieved . ^ Greg Prato (1963-12-26). "Lars Ulrich | Biography & History". AllMusic. Retrieved . ^ a b Caulfield, Keith (2013). "Viva' Def Leppard!". 125 (43): 57. Retrieved 2014. ^ "Rock legends Def Leppard set to enter home city's hall of fame". Yorkshire Post. 7 June 2006. Retrieved 2017. 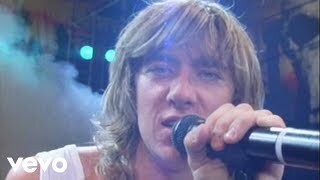 ^ "Joe Elliot: Def Leppard don't get enough respect". Metro. 20 July 2010. Retrieved 2013. ^ DeRiso, Nick. "Def Leppard's Phil Collen Announces Blues-Rock Side Project Delta Deep". Ultimate Classic Rock. Retrieved 2016. A hefty dose of Hysteria? Pyromania? Euphoria? Must be Def Leppard's biggest hits.